First let's break down a heavy riff that we can use for the intro of the song. 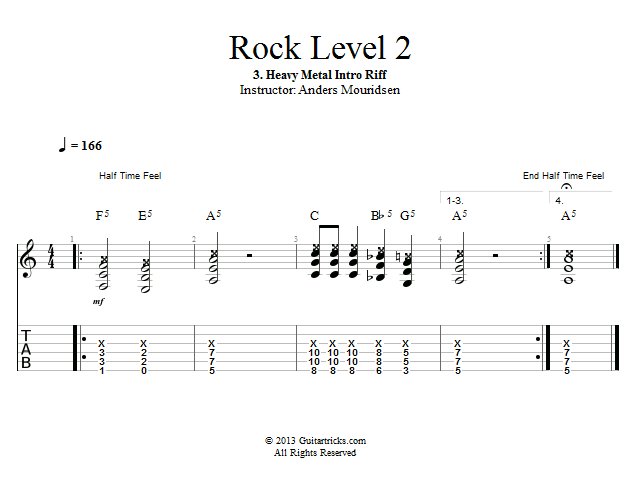 This riff is played by moving power chords around in unison with the bass and the organ. This practice tune can be tricky to count out because we switch between half-time and normal time - meaning the intro is half as fast as the verse. Or the intro is normal and the verse is "double-time". But regardless of how you choose to count it, just listen to the drums and make sure it feels good.